Everything good that I know was taught to me by great teachers and I feel like giving back and sharing the technique is the thing to do. Feminism – the word – can give us a handle, a rallying point, a common ground, and help us build a bridge. Why not claim the gift of the word as a place to begin? Broadway has changed tremendously from the early days when the shows were referred to as musical comedies. Musical Theater is now a more expanded art form. Back then, singer/actors were not the norm. From the 60’s to now, it is necessary to do it all to be a consummate Broadway performer. Good performance is about the capacity to focus and concentrate. I love Mary Chapin Carpenter songs. I love her songs ‘Come On, Come On’ and ‘I Am A Town’, they’re two of my favorite songs. I was hugely relieved to discover there was a purpose for girls with loud voices. My two great loves are music and horses. If we’re for one another, we’re feminists. The rest is semantics. It’s just a little ranch. Thirty-five acres. In Texas, if it’s not a thousand acres, it’s considered a ranchette. T Bone and I grew up together in Fort Worth, Texas. He had his own recording studio by the time he was seventeen years old. When we were both nineteen he made the first archival recording of my voice. So, when the discussion about not using the term feminist came up at a conference workshop, I couldn’t believe it. The more I listened, the more I felt the need to express my passion about my identity as a feminist. The pure connecting factor is that those of us who describe ourselves as feminists want equal rights for all people. The word, and the concept of feminism, was a gift because it gave me a sense of identity and a way of defining how I wished to live my life. Well, the teacher I studied with for nineteen and a half years was a man named Paul Gavert. He was a great lieder singer, so basically I’m a trained lieder singer because of that teacher. 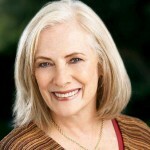 The teacher I currently study with – since 1995 – is Joan Lader, who also studied with Gavert. Betty Lynn Buckley is an American stage, film and television actress and singer. She is a 2012 American Theater Hall of Fame inductee. Buckley made her Broadway debut in 1969, in the musical 1776. She won the Tony Award for Best Featured Actress in a Musical, for her role as Grizabella in the 1982 Broadway production of Cats.